Multiple news sources have reported the death of Leopard-Trek rider Wouter Weylandt following a crash in today’s Stage 3 of the Giro d’Italia. Weylandt’s 6-year career included stage wins at the Giro d’Italia, the Vuelta a Espana, the Driedaagse van West-Vlaanderen, the Eneco Tour, and a 3rd-place finish at the 2008 Ghent-Wevelgem. Weylandt leaves behind a loving family, many friends, and girlfriend with whom he was expecting the couple’s first child in September. On behalf of everyone at Pavé, we would like to offer our prayers and condolences to everyone who knew Wouter and to all affected by this tragedy. We would also like to extend our sincere gratitude to the support personnel, doctors, and volunteers who fought valiantly to save his life following the accident. In light of today’s terrible events, our usual Monday Musette will be posted tomorrow. 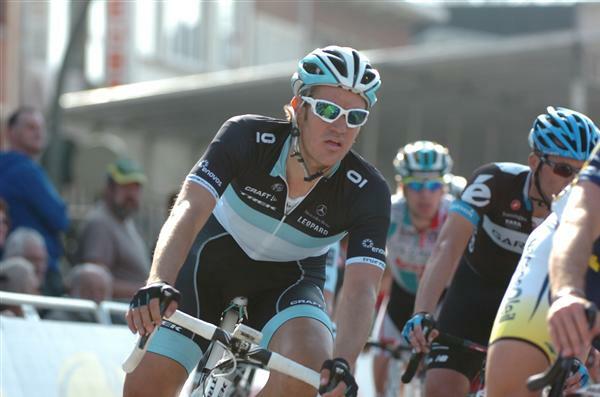 This entry was posted in Featured, Musette and tagged Wouter Weylandt. Bookmark the permalink. May you rest in peace Wouter, and your friends and family find comfort and peace. Terrible tragedy for everybody, my condolences to his family.